Youth Lagoon aka Trevor Powers at only 22 was the precocious new kid on the indie block with 2011’s The Year of Hibernation. Though a strong debut, the album could get a bit precious as one would expect when listening to a 22-year-old’s debut indie pop album. But if The Year of Hibernation was sugary, Bughouse is coated with codeine syrup. It’s a woozy collection of psychedelic pop, as eccentric as it is rousing. “Mute” sprawls with epic grandeur in its first minute before breaking down into spiraling sounds of broken-down toys and keyboards. Powers’ vocals climb to the top of his manic creation, which gradually becomes a psych rocker with a gorgeous guitar solo. 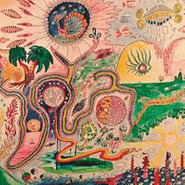 “Attic Door” is prime Syd Barrett in Wonderland weirdo psychedelia, while “Pelican Man” takes a similar notion to Sgt. Pepper’s-style pop heights. As Wondrous Bughouse progresses, it seems to grow more assured, as mid-album cut “Dropla” makes for the album’s catchiest moment — an eyes-wide-open pop song in the vein of Mercury Rev and Flaming Lips’ finest, built on the naÃ¯ve, repeated couplet “you’ll never die.” True to its Strawberry Alarm Clock title, “Raspberry Cane” is a beautiful slice of acidic sunshine pop that moves from esoteric to a crowd-pleasing refrain that marks Powers’ most classic pop moment to date. It’s a wondrous thing to hear, indeed. Of all the scuzzy, sloppy, boozey garage bands in L.A., FIDLAR is the skuzziest, sloppiest and booziest. OK, they might not be the sloppiest any more now that they’re hitting it big, judging by the sounds of “Gimme Something,” a cleaned-up, jangly country-style track that highlights just how good this band’s actual songwriting is. As if to hammer the point home, the “Gimme Something” video either sees the band dolled up like Creedence Clearwater Revival playing some state fair in the ’70s, or it’s very cleverly edited video of some ’70s band made too look like they’re playing FIDLAR’s song. Either way, it rules! FIDLAR’s self-titled debut is due Jan. 22, preoder it on CD or LP here. Anything that comes out on the Captured Tracks label immediately gets my attention, and one of their newest signees doesn’t disappoint. Widowspeak pair Western jangle-rock riffs — like real ones, not limp little guitar doodles — with sultry, breathy vocals from Molly Hamilton. She reminds me a bit of the late, great Trish Keenan of Broadcast, and similarly Hamilton’s grounded vocals serve as a wise counterpoint to her partner Robert Earl Thomas’ wild guitar work. “The Dark Age” comes from their upcoming album, Almanac, due Jan. 22 on LP and CD.